I have purse issues. I have so much “vital” stuff in my purse, that it is non-functional, especially when I am traveling. I have tried weighing my purse, then removing several items until it is light enough to avoid dislocating my shoulder or putting my hand to sleep. I have tried using teeny-tiny purses that hold only a small comb, a five dollar bill and one kleenex. I have used super-organizers that have a place for everything, but will not accommodate a modern cell-phone or my sunglasses case. 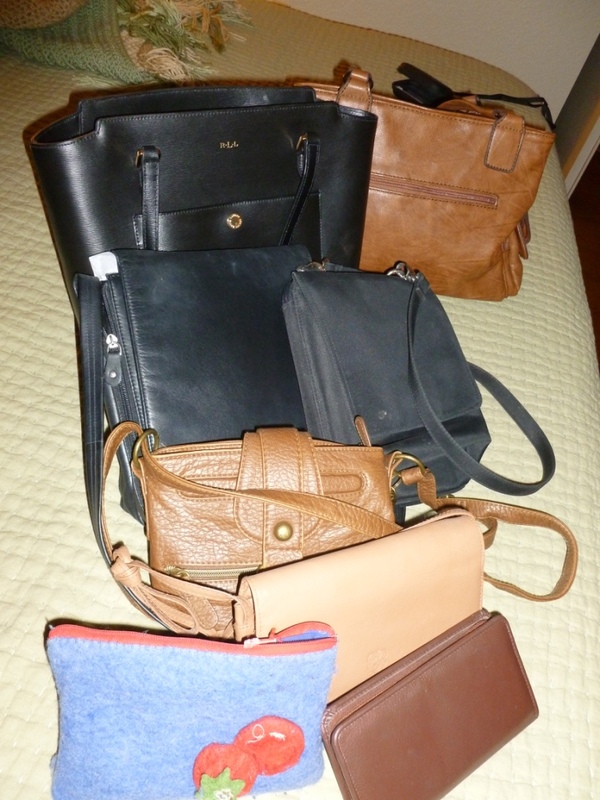 A sample of my current purse wardrobe.